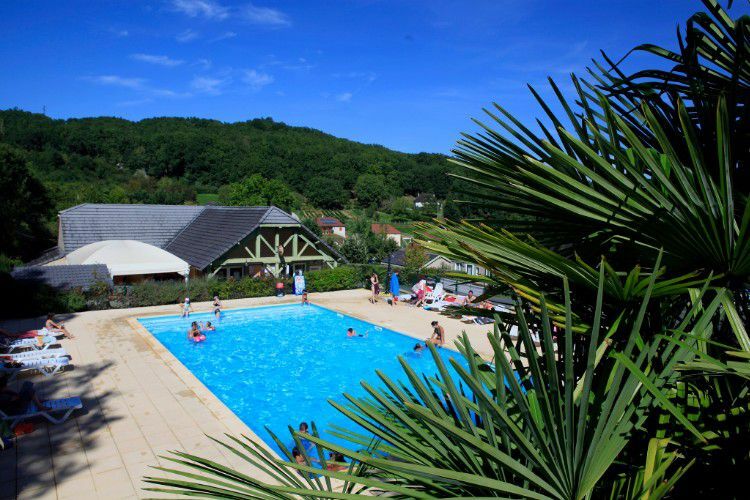 Nestled in the serene natural environment of Correze, in the department of Limousin, the Les Hameaux du Perrier campsite promises a relaxing trip marked by adventure, relaxation and leisure. This 16 hectare campsite is located in the valley on Lissac-sur-Couze, bordered by the Lac du Causse (accessible 1km away). 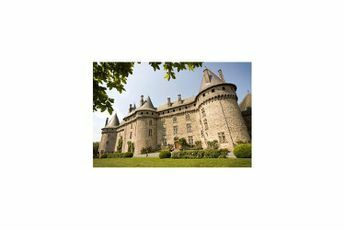 It's only 20 minutes away from Brive-la-Gaillarde and from its famous market. 240m above sea level, this campsite dominates the Causse lake. Its stunning views are ideal for relaxing and strolling about in the rolling countryside. Onsite, discover the outdoor swimming pool with its vast sunlit terrace as well as its sports facilities (ping-pong, mini-golf, football, volleyball, basketball, boules etc.) for a perfect family getaway. At the heart of the Hameaux du Perrier campsite, you'll have everything you need: snack bar, restaurant, pizzeria (open in peak season), wifi hotspot, laundry room, TV room and board games. Escape the hustle and bustle of everyday life and come to this peaceful area. Visit the nearby cultural sites, go hiking, picnicing, cycling, swimming and many other outdoor activities! Nearest town : Larche (6 km). 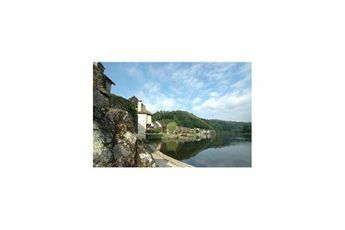 In the Limousin region, ideally situated at the crossroads of the Correze and Dordogne departments, the Les Hameaux du Perrier campsite invites you to come and visit the greatest sites of this verdant region. For all your sporting desires, the Lac de Causse leisure centre offers you a panoply of water sports, or just a long walk along the bank. For those of you who want cultural discoveries, the Prehistoric Valley will be the highlight of your trip.